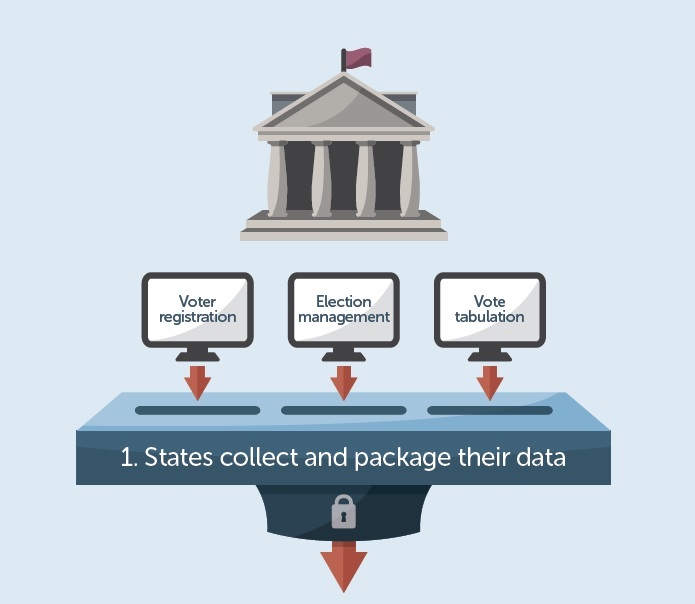 One of my proudest accomplishments during my time at The Pew Charitable Trusts was being a part of founding and growing the Voting Information Project (VIP) – an effort designed to help voters answer voting questions using official election data produced in an open data format. In many ways, the biggest challenge in growing VIP was explaining it to election officials and other outlets (media, etc.) who would use the feeds. As with many other things, VIP’s current team is addressing that challenge through the release of a new infographic (click here to expand) that clearly and succinctly explains how voting information can get from election office servers to voters’ computers and mobile devices in about three weeks. Just as important, the infographic shows the various file types (.ZIP archives, .csv text files and .XML “feeds”) necessary to complete the transformation and shows how VIP-developed tools can help. Data- and voter-focused projects like VIP don’t often get the attention they deserve, but I think they are as vital to the changes we are seeing in the field as higher-profile reforms to the registration and voting process. Indeed, as those other familiar aspects undergo change, giving voters a reliable, accurate and convenient source of information about the process is absolutely crucial. Kudos as always to the VIP team for their work – and thanks to them and the design wizards at Pew for this excellent infographic. If you want to see more of what VIP is doing – and can do – visit votinginfoproject.org. Be the first to comment on "New Pew Infographic Demystifies Voting Information Project Data Flow"